The Coca Cola company has recently launched a new beverage they call Coca Cola Life. 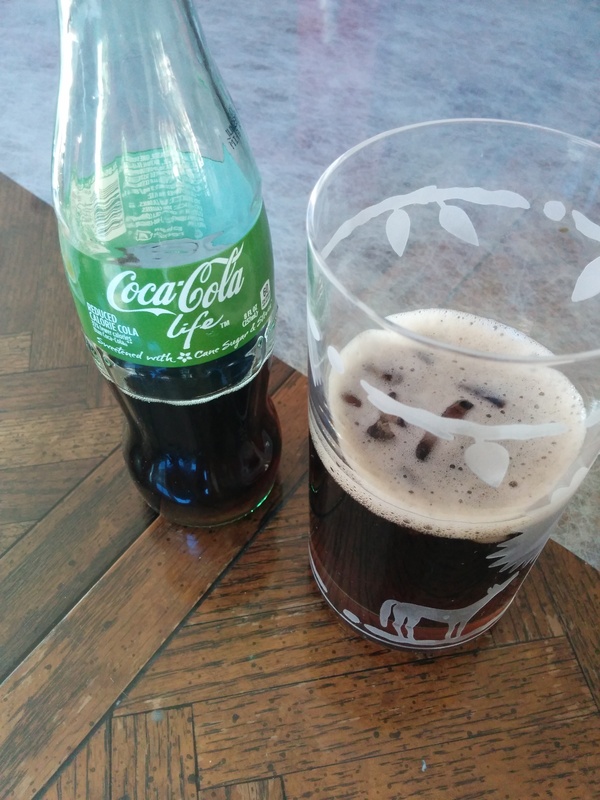 So what’s the difference between Coca Cola Life and Coca Cola Classic? Coca Cola Life is new low calorie option for Coke lovers. With only 60 calories per 8-oz bottle, it contains 33% less calories than regular coke. Unlike Diet Coke, Coca Cola Life doesn’t use aspartame and instead uses cane sugar and stevia, a natural sugar sweetener. I was really excited when this drink came out. A lower calorie soda without aspartame? Sign me up! I found the soda at my local Ralphs and grabbed a case of glass bottles off the shelf. I eagerly went home and popped my first bottle open. It looked like Coke, it poured like Coke. I took my first sip. And unfortunately, it didn’t really taste like Coke. Not that it was unpleasant. It had the smooth taste of Coke classic but the odd aftertaste I seem to find when I drink Diet Coke. Personally, I wasn’t a fan of it. But for people who drink Diet Coke and are looking for a more natural alternative, I would say it’s worth the 60 calories.